Not all law firms will accept appeals, many refer them to us. Courts don't always rule correctly. Judges don't always do what the law requires. 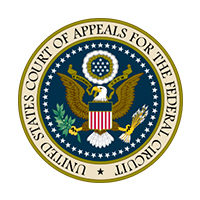 An appeal is the way a lower court's decision is reviewed for errors. However, strict rules regulate the time in which you have to file an appeal, so immediately contacting an experienced appeals lawyer is crucial if you believe an order or judgment should be reviewed. An appeal is initiated by gathering all the relevant information, including court documents, evidence, transcripts, and other information needed to carefully review the court's decision. At the same time, a notice of appeal must be filed with the appropriate court, letting the other parties and the courts know you intend to appeal a ruling. Only certain orders and judgments can be appealed, so hiring an experienced appeals lawyer is critical to ensure the correct procedures are followed. Once the notice of appeal is filed, we will write your brief (the written document explaining and advocating your position and the legal authority supporting it), provide the appellate court with the testimony and important documents from your trial or hearing, and argue the case to the panel of judges assigned to your case, if requested. Briefs are highly specialized court documents, and very specific and inflexible rules apply to the way they are drafted. An experienced appellate attorney is invaluable in knowing how to properly draft a brief, prepare it for filing, and argue your case in the most effective way possible. While oral argument is the most visible part of appellate work, most cases are decided based solely on the briefs and the record on appeal, (the important documents discussed above). However, live, in person oral argument can be beneficial, as it helps the judges on your panel understand your argument in more depth. Some appeals end with an opinion, or the written explanation of the appellate court's ruling. Once the opinion is provided to the attorneys, the appellate court will issue its mandate, or the order directed to the lower court, instructing the lower court what to do. Not all law firms will accept appeals — many refer appeals to other attorneys. We are proud many attorneys in Jacksonville, North Florida, and throughout the state, trust Rowland Law Firm, LLC to provide their clients with exceptional quality representation in all types of appeals — civil, criminal, family, and others. If you have a question about a possible appeal, please provide us with your information and we will review your case without charge.